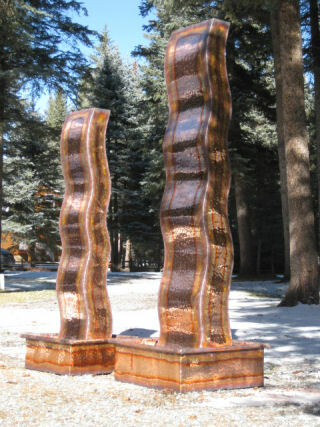 Flame Fountain used in the 2011 film "Deadline" by Chris Tasara, Hollywod, CA. This is the Flame Fountain created in the Extra Large scale. It stands 7.5 feet tall and has an impressive display of water. 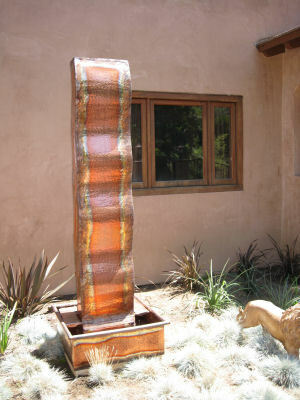 This fountain looks amazing with underwater lights, the shimmering copper obtains the maximal flame effect! It is the perfect marriage of Fire and Water - a flame that illuminates Joy.